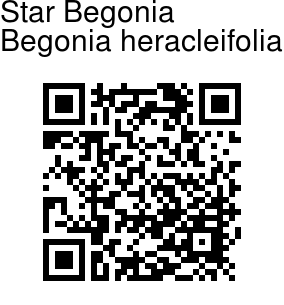 Star Begonia is a perennial herb with deeply lobed leaves. The species name refers to the leaves resembling hogweed leaves. Typical clump of plants is 2 ft tall, 4 ft wide. It sports 15 inches wide, 1 ft long maple-shaped leaves of medium green surrounded by a contrasting wide black-green border and held at the end of red-speckled leaf-stalks. Flowers are a delicate pink, borne in clusters. 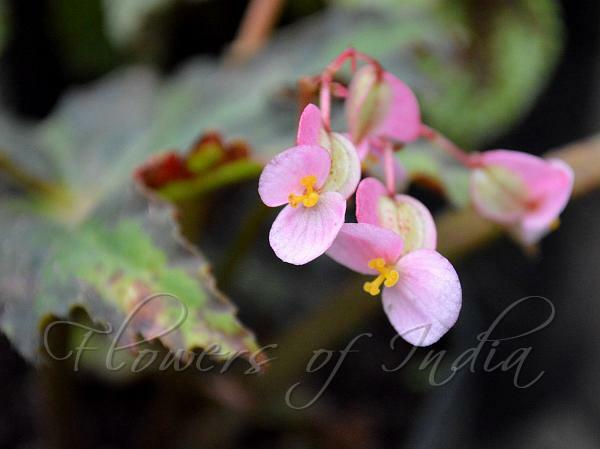 Star Begonia is native to Mexico, grown as a garden plant world wide. Identification credit: Mark Hughes Photographed in Soureni, Mirik, West Bengal.